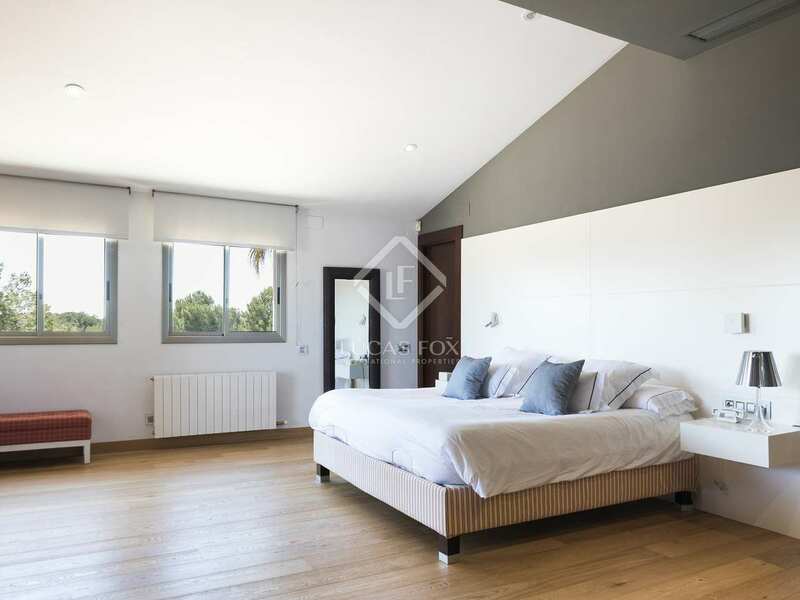 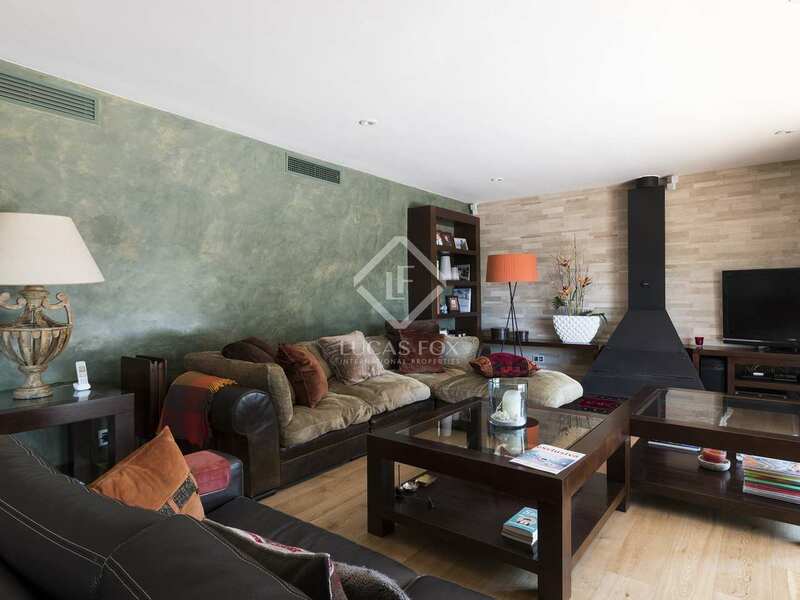 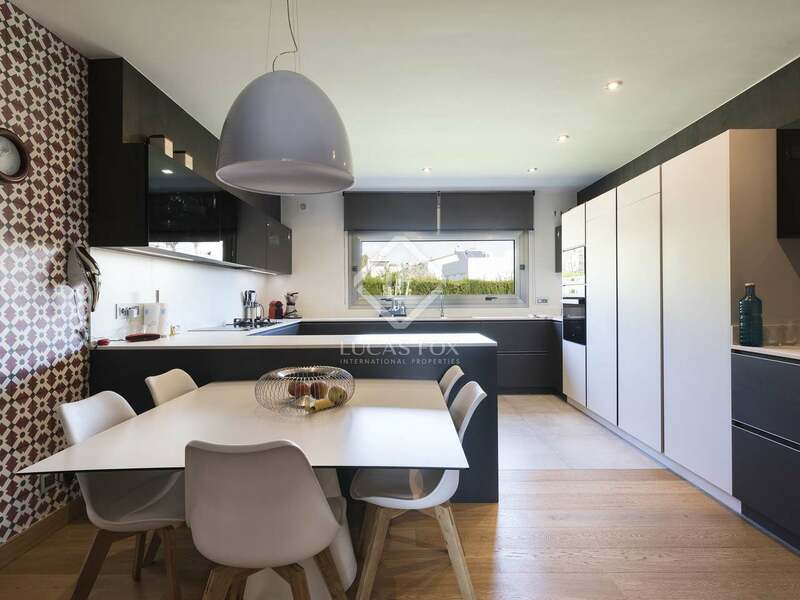 Located on a tranquil residential street in Can Pei, walking distance to Sitges town and the beach, we find this wonderful large family home of 467 m² with a perfectly flat 1,000 m² garden with a pool. 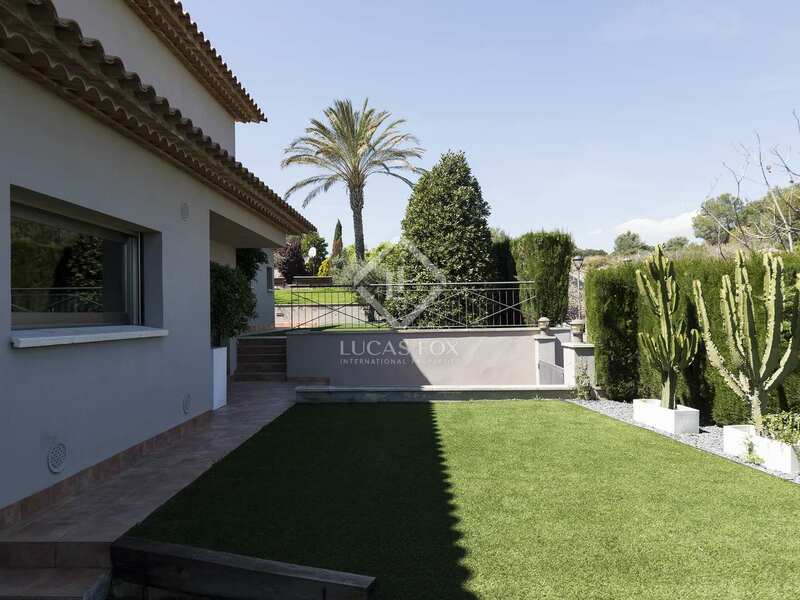 Situated in a pleasant green area and with sea views from the first floor, the house enjoys a privileged location to say the least. 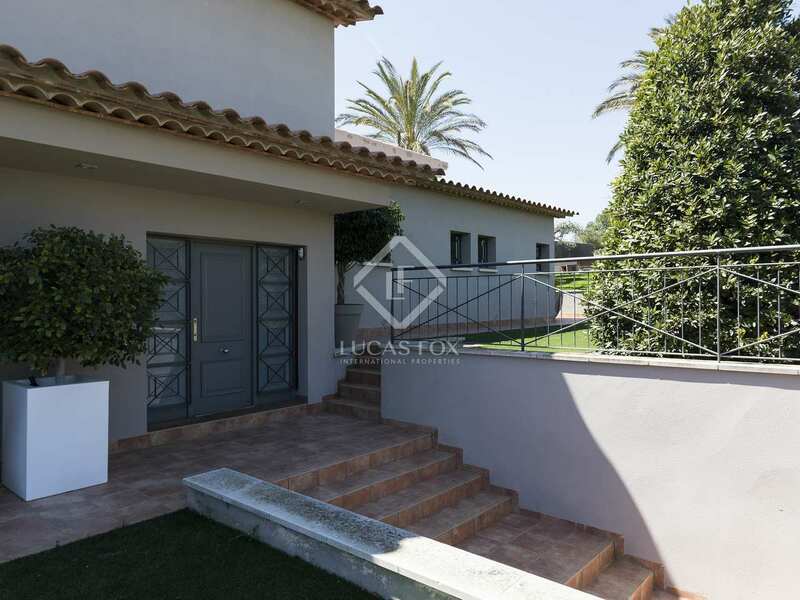 Built in 2003, in a warm, traditional Mediterranean style, this detached house has 6 bedrooms and is presented in immaculate move-in condition. 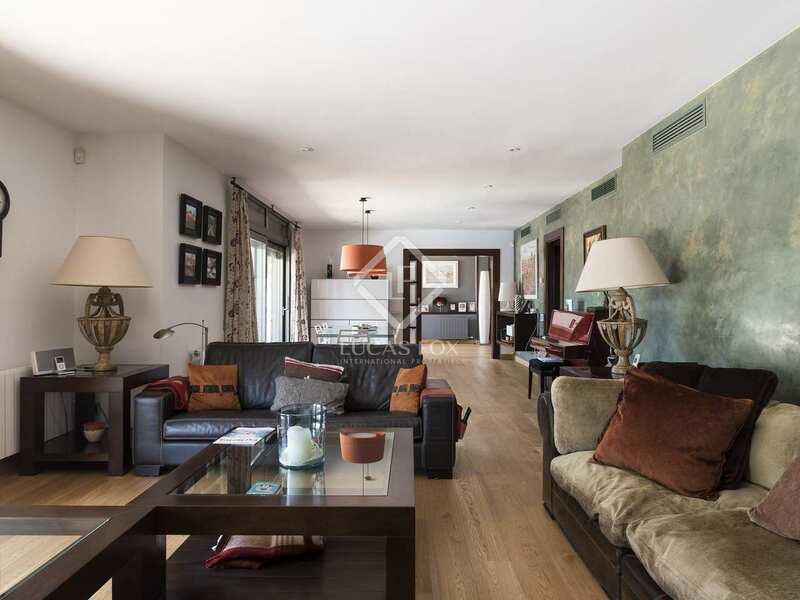 We are welcomed into a large entrance hall on the ground floor of the house which leads us to the spacious living and dining area with a fireplace and access to a charming covered terrace and the garden with its 12x5 metre swimming pool. 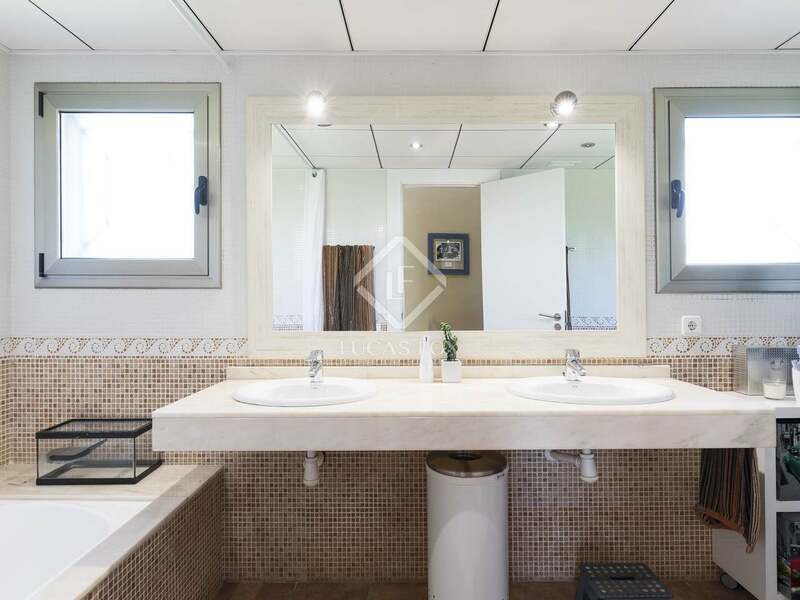 Moving on we find the large new fully equipped kitchen, a separate laundry room, the service quarters and a guest toilet. 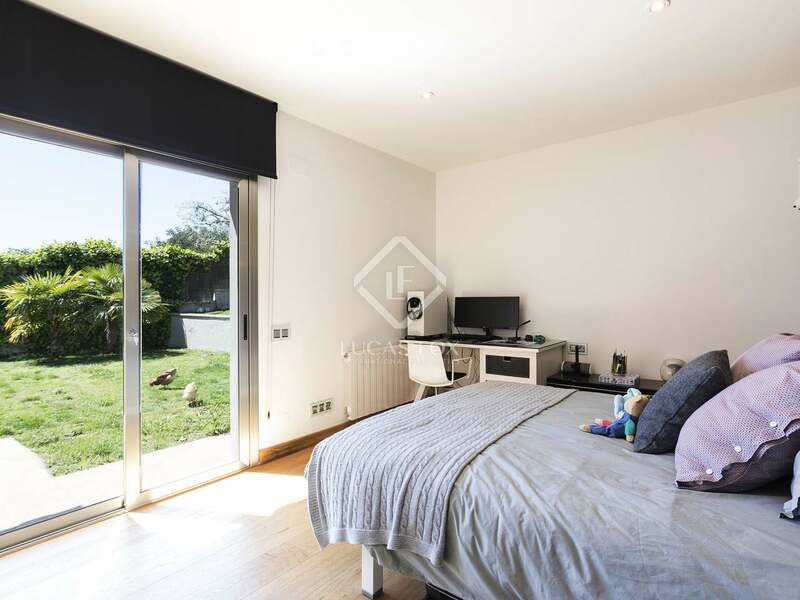 Also on the entrance level are 3 double bedrooms, one of which has an ensuite bathroom and all of which enjoy direct access to the garden. 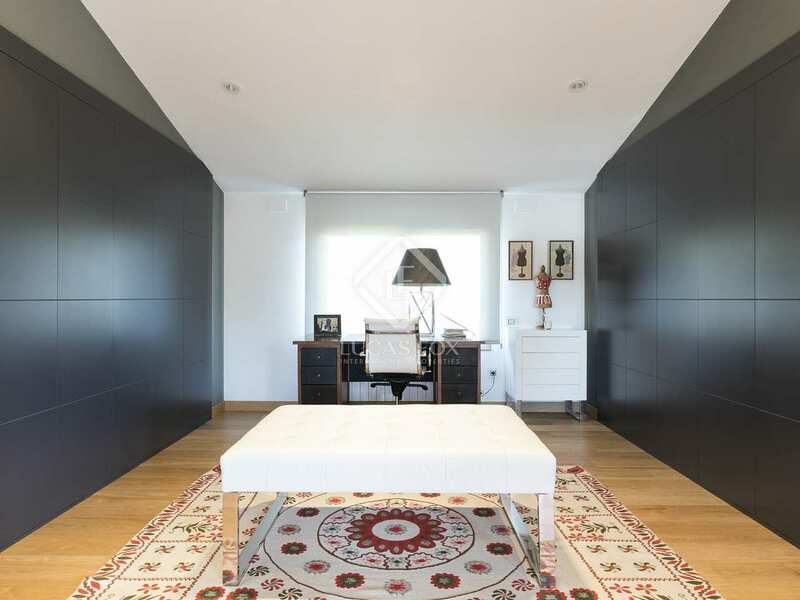 This level of the house also provides parking spaces for 3 cars in the garage with a large storage space. 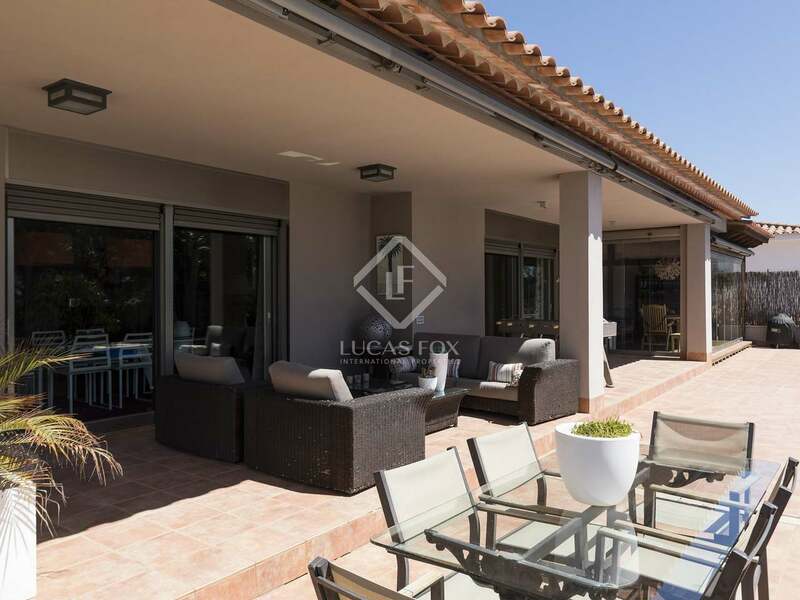 Outside, there is also a delightful summer living area connected to the garden with a fully equipped kitchen, and a basketball field at the back of the property. 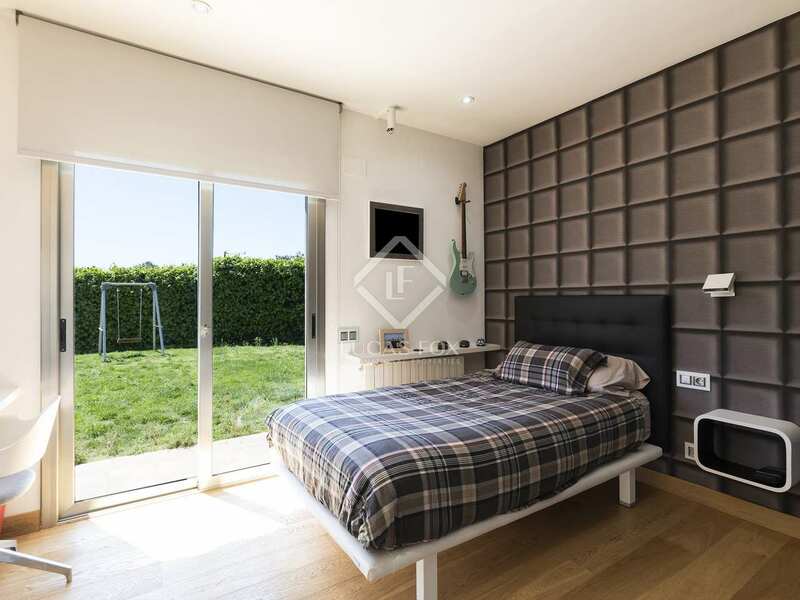 The first floor offers a large master bedroom with a sitting area and ensuite bathroom, a terrace with sea views and another bedroom that is currently in use as a study / library space. 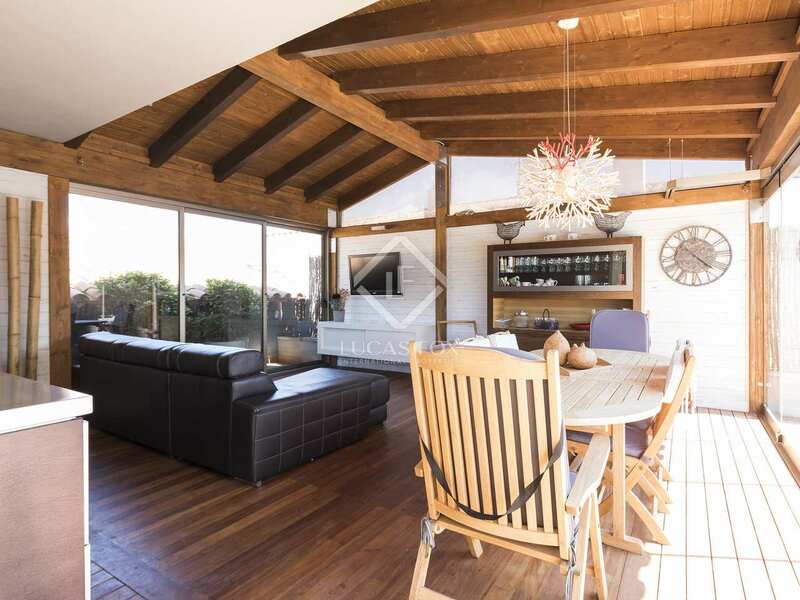 This is a spacious family home with elegant, high-end finishes throughout. 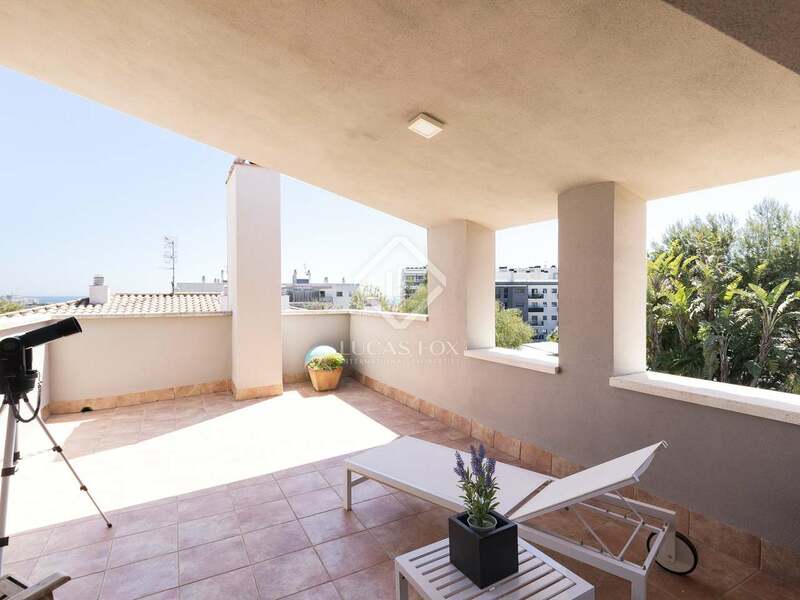 What's more, the property has a tourist licence which provides the option of enjoying a good rental yield when the residence is not in use by the owner. 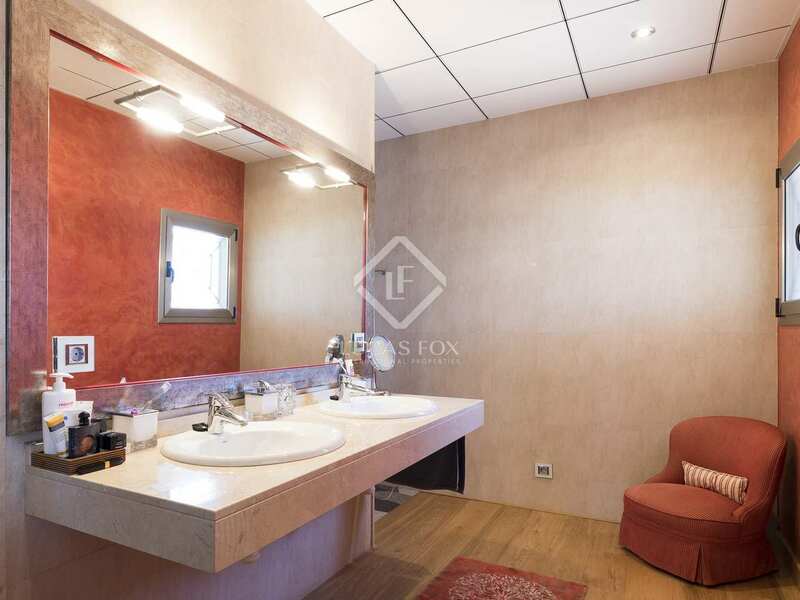 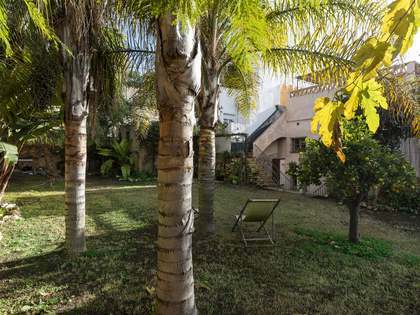 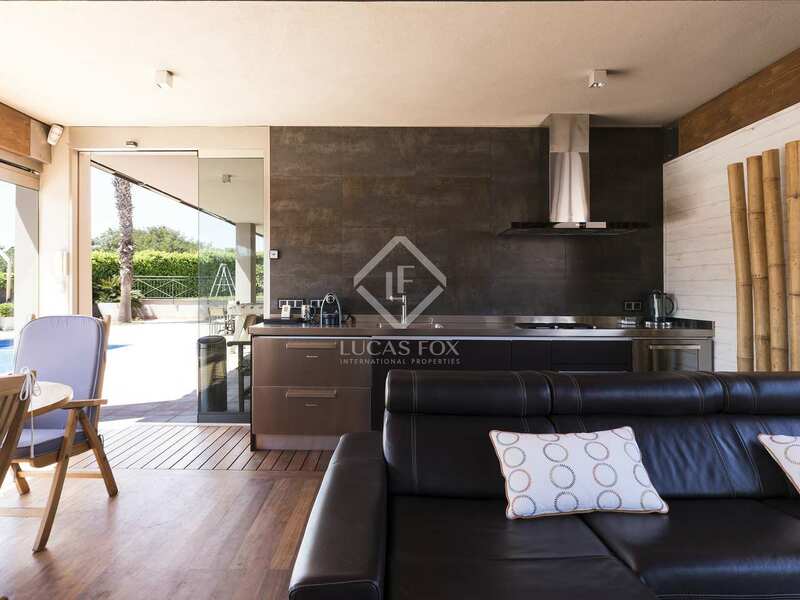 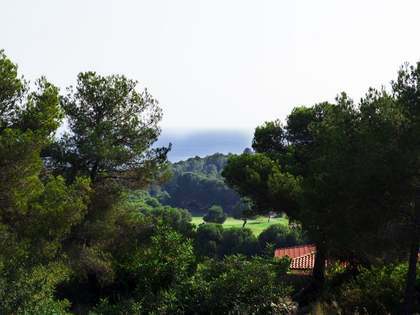 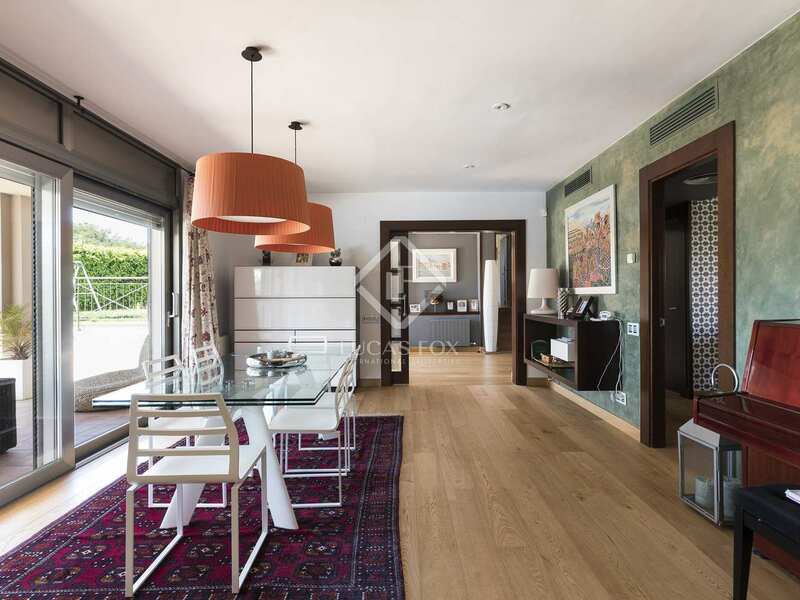 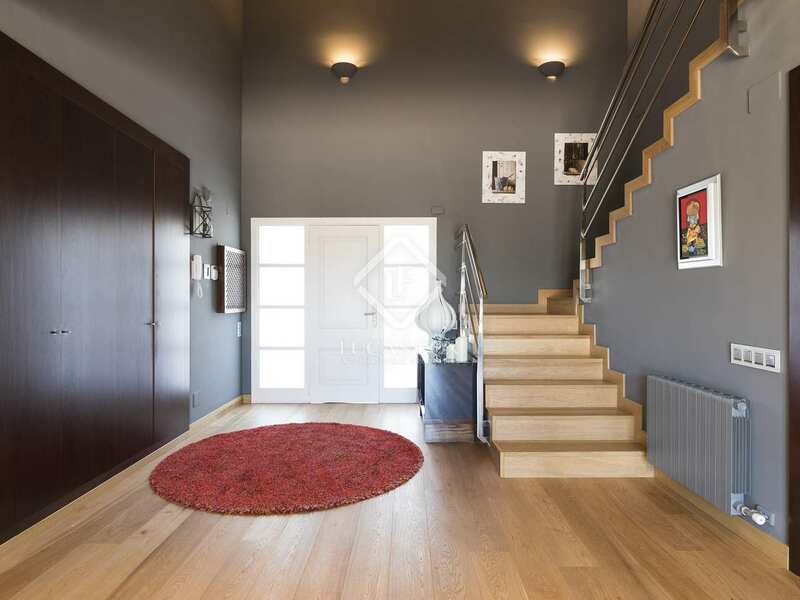 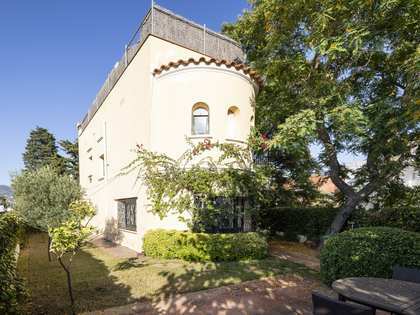 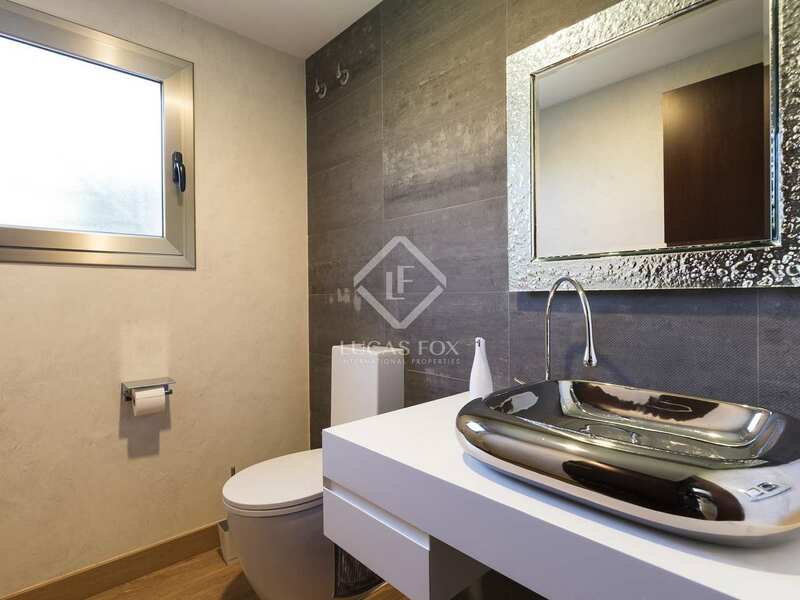 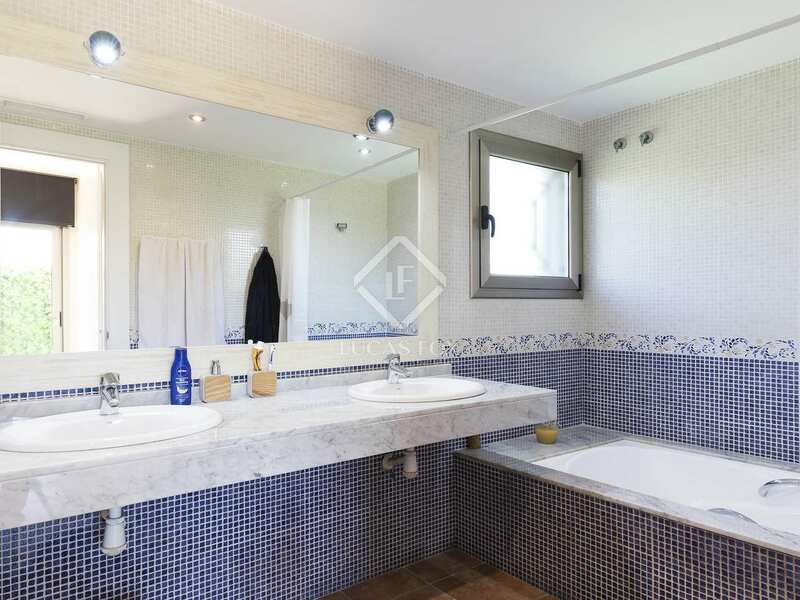 The property is located in a pleasant green area in Can Pei - Sitges. 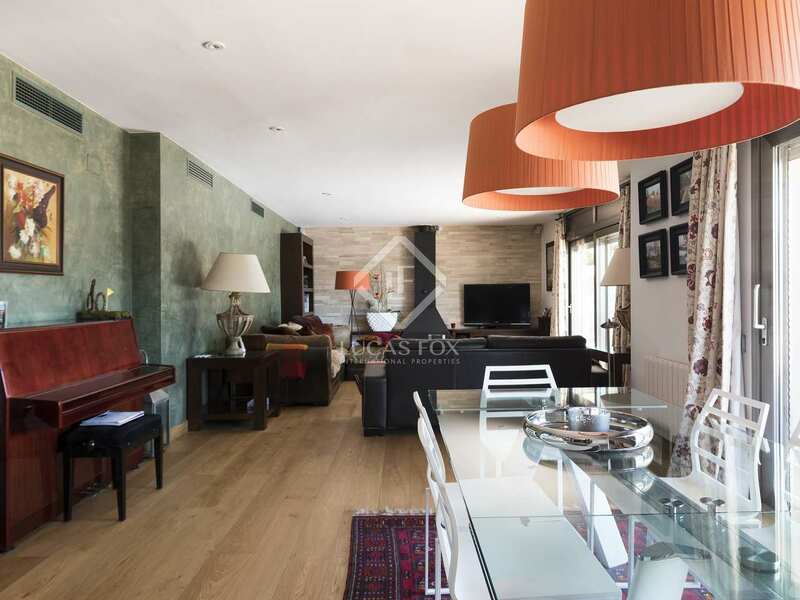 Walking distance to Sitges with the shops, restaurants, beach and train station just a 5-minute drive away. 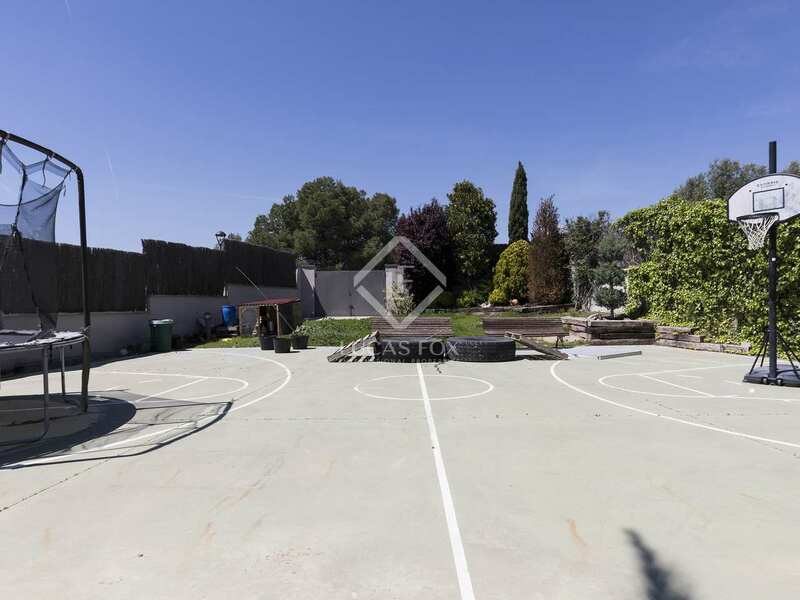 The property is close to all international schools.